Excellent Condition! Fully loaded with all of the goodies! 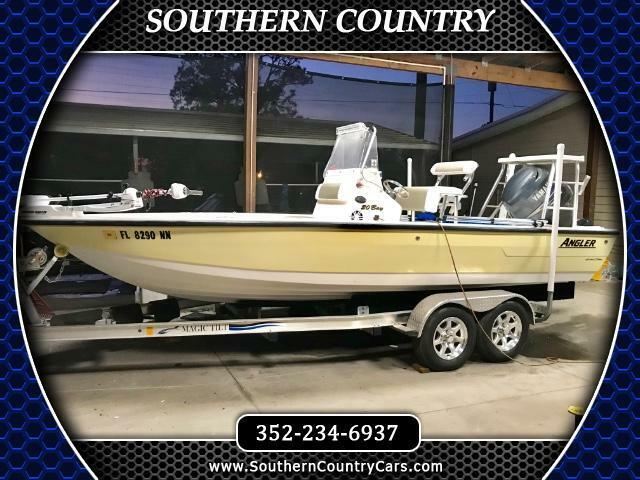 including 150 Yamaha 4Stroke Engine, 8' Power Pole Anchor, Onboard Battery Charger, 4 Batteries, Trolling Motor, Aluminum Trailer with brand new 15" Aluminum Wheels and tires, Brand New JL Marine Stereo with (JL 7.25" Speakers and JL Amplifier), Bluetooth Stereo, New Lawrence Touch Screen GPS/Depth Finder, Brand New Upholstery, Polling Platform, VHF Radio, LED light, Underwater Lighting and much more. Priced to sell quick! Call Us Today! Message: Thought you might be interested in this 2007 Angler 20 Bay.